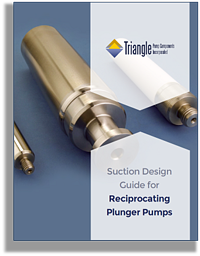 Pump Suction Design Guide | Triangle Pump Components Inc. The Suction Design Guide is a handy resource that will better help you understand suction head calculations and installation considerations. Fill out the form on the left to download your free copy of the Suction Design Guide.